Our teacher stamps sure come in handy during the year. School teachers everywhere appreciate our easy to use self-inking rubber stamps that get thousands of impressions. 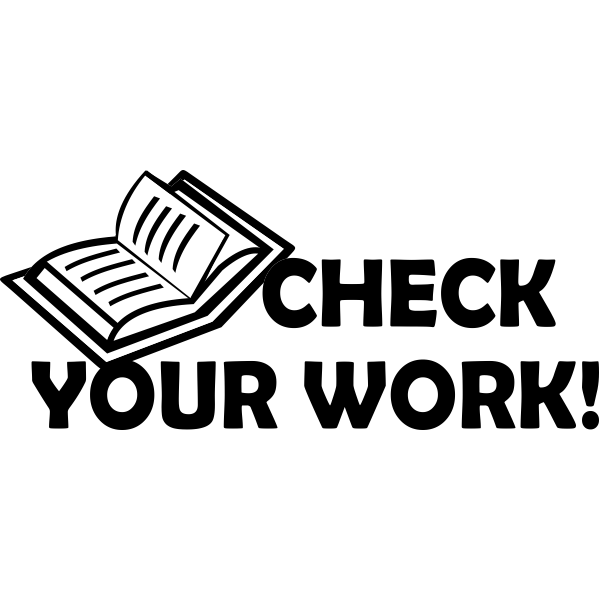 Order your Check Your Work! Teacher Self-Inking Stamp online here today! It's much easier than writing out those three words over and over. Remind students to keep those books open until they have thoroughly review assignments. Their grades depend on it!